Home Procurement News Are self-driving cars the future? Marty McFly may have had a flying car in the "Back to the Future" version of 2015, but now that the year has finally arrived, those aerial vehicles are still just a dream. In real-life 2015, a car's four wheels remain on the ground. However, society may still see an upgrade to the automobiles they've been using in the near future. Various manufacturers and tech companies are experimenting with their own version of the time-traveling DeLorean. It may seem like you've gone to the future when you've had the chance to ride in a self-driving car. How often do you need to get out of the house or leave your location, but don't want the hassle of driving to your destination? Maybe you can't keep your eyes open or you've had one too many drinks. You could just be having a lazy day. This might mean you're not going anywhere. However, with a fully automated vehicle, you can get in the car and relax. The machine will do the rest. They'll be programmed to obey traffic laws and practice safe driving habits. You won't have to do a thing. Many people believe this will be a positive thing. Without human interference, automated cars will make the roads much safer. Approximately 1.3 million people die around the world and another 20 million to 50 million are injured or disabled annually because of car accidents, the Association for Safe International Road Travel reported. Because these self-driving vehicles won't break any road rules, there will be fewer dangers. Some automakers have already installed driverless systems into their vehicles' hardware, Manufacturing.net explained. If you've turned cruise control on while driving on those long, straight stretches of highway or hit a button to parallel park your car, you've used automated driving tools. Car manufacturers now want to take this a step further and continue upgrading their systems until they're fully automated. 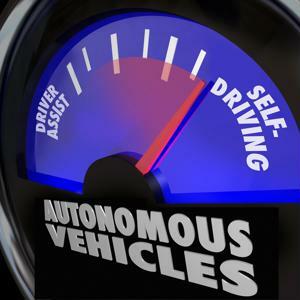 According to a report by Business Insider Intelligence, self-driving cars should be on the market by 2019, with more than 10 million of them estimated to be on the roads by the following year. Unfortunately, self-driving cars may be getting more credit than they're due. It's unlikely manufacturers will stop making cars in the traditional sense, and critics believe the combination of the two vehicles on the road would be disastrous, The Atlantic explained. Human drivers don't always obey traffic laws, but fully automated cars will. If there's something, such as a branch, in the road, the driverless vehicle will stop, unlike a human driver who would go around it. If the car comes to a halt without any warning, it could cause hazardous situations for the vehicles behind it. There are also many events that may call for the breaking or bending of traffic laws. In some cases, speeding happens out of necessity instead of desire. Emergencies wait for no one. Self-driving cars may not be able to understand that. Drivers are also required to occasionally change their paths. There may be something in the road or a situation out of their control may force them to choose the lesser of two evils. The Atlantic sites the Trolley Problem: If a train is about to crash into five people, but you could hit the switch to move it to another track where only one person is standing, what would you do? You'd have to work through the situation, but you'd eventually come to a conclusion. Self-driving cars don't have that ability, unless they're programmed with artificial intelligence that allows them to learn. While the Trolley Problem may be a little extreme, situations like that happen. What happens if a self-driving car slips on black ice and there are people around? Many dilemmas will need to be solved early in the supply chain. Companies will have to perform stringent tests to ensure these cars are ready for the road and can make driving decisions based on the other drivers. If they do, consumers will look forward to taking that step into the future.